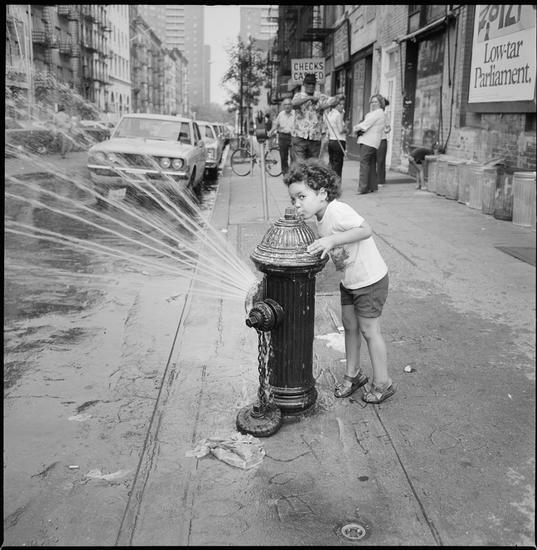 The first fire hydrant in New York was installed in 1808 at William and Liberty Streets downtown. By the end of the 19th century, city streets were dotted with iron hydrants, the kind we’re used to seeing today. The hydrants were certainly important when it came to fighting the deadly fires that beset the city in those days. 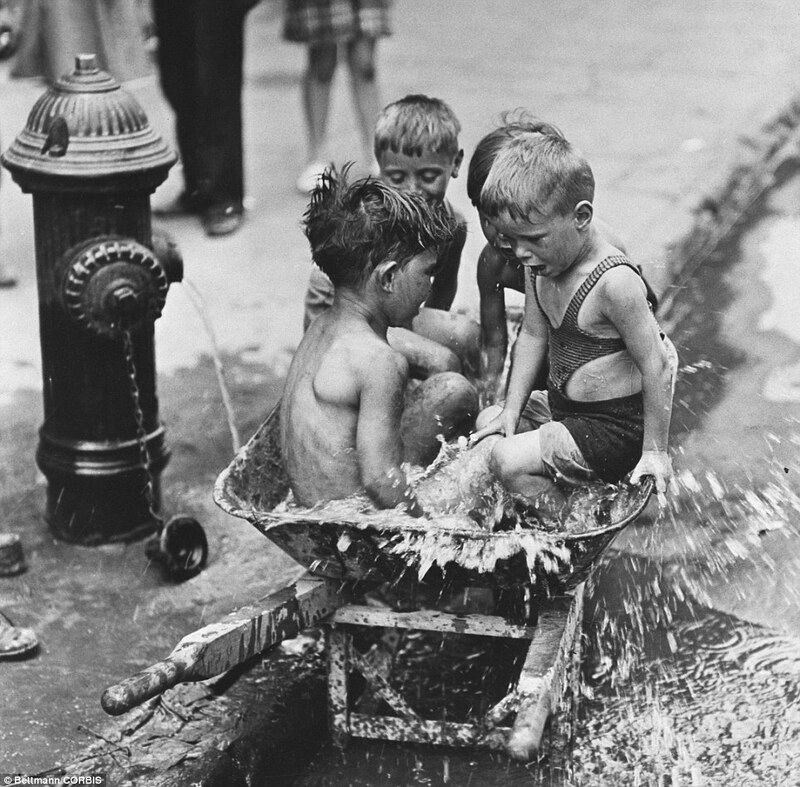 But it didn’t take long for residents of the tenement districts to start wrenching open hydrants during heat waves and using the high-pressure spray for cooling off in blistering heat. Who led these activities? New York kids, of course. “One matter that caused police and firemen in the city much annoyance was the opening up of fire hydrants,” reported the New York Times in June 1925. 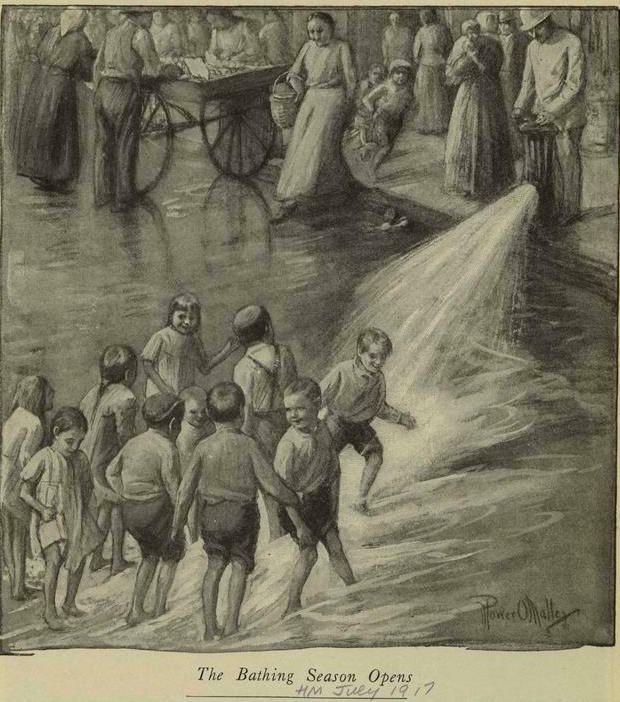 In this particular case, the police were ordered to guard the hydrants—but they were no match for crafty tenement kids. 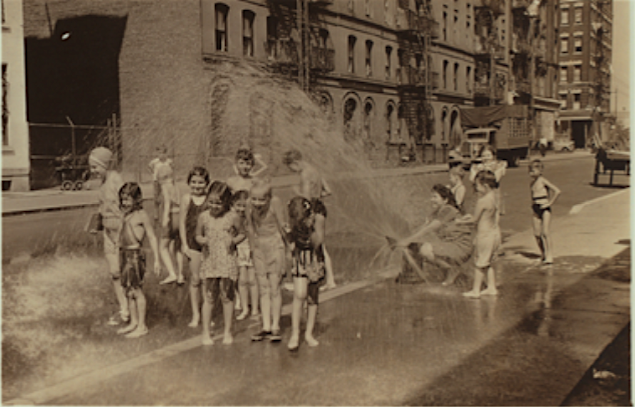 In 1933, a mob of kids even held a protest in front of a West 47th Street police station, after cops went around shutting off hydrants they had opened. “The trouble arose late in the afternoon when residents along streets in the West 40s and 50s telephoned the station house to complain that their cellars were being flooded by water from nearby fire hydrants,” wrote the Times in June 1933. 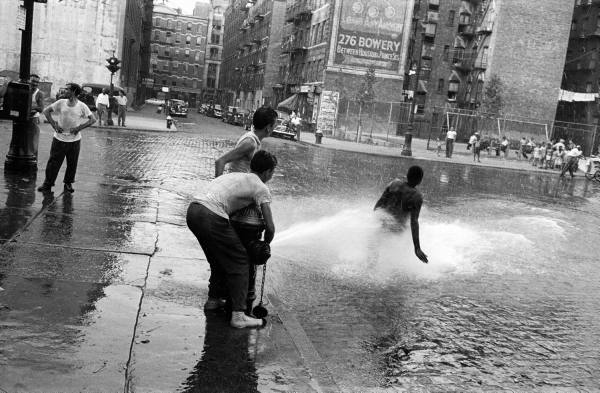 Shutting fire hydrants that had been opened during heat waves became more dangerous in the 1960s. A 1961 Times article explained that police now wore helmets when they went to close a hydrant (opened by children and parents, the paper pointed out), or else they risked getting pelted with bricks. Officials had good reason to close hydrants; all the water flowing into the street meant there may not be enough to put out a fire. And having so many children playing in the street posed a danger as well. 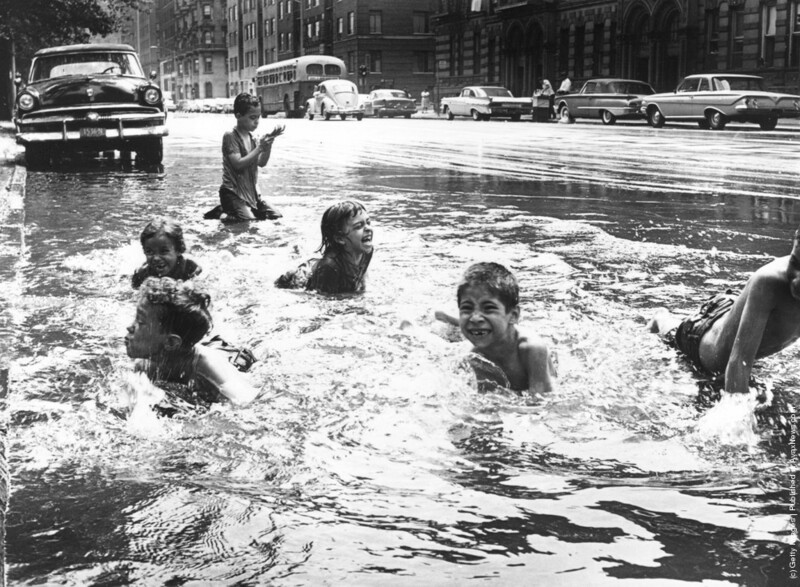 But instead of fighting residents who had no other way of cooling off, city officials eventually came up with a cap that could be fitted over hydrants and turn the spray into a sprinkler. 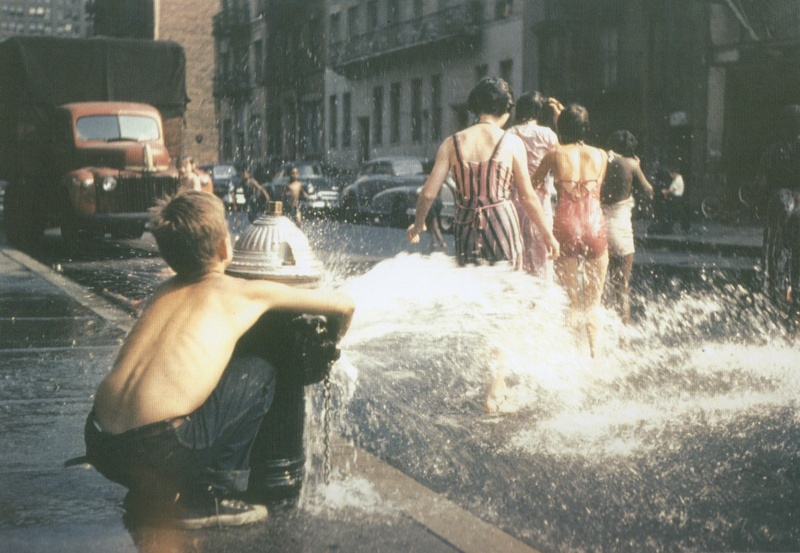 That didn’t end the practice of cracking open a hydrant and reveling in the powerful spray of cool water, of course. It’s less common to see kids playing in water in gutters these days, but this summer tradition still lives on. Similar to the sanitation workers of today who empty trash cans into hulking vehicles, the ash men came by to empty the barrel’s filthy contents into a horse-drawn cart. The ashes would then be transferred to a dump—like Queens’ infamous “Valley of Ashes” in Corona. Louis Maurer’s painting shows what the job was like. 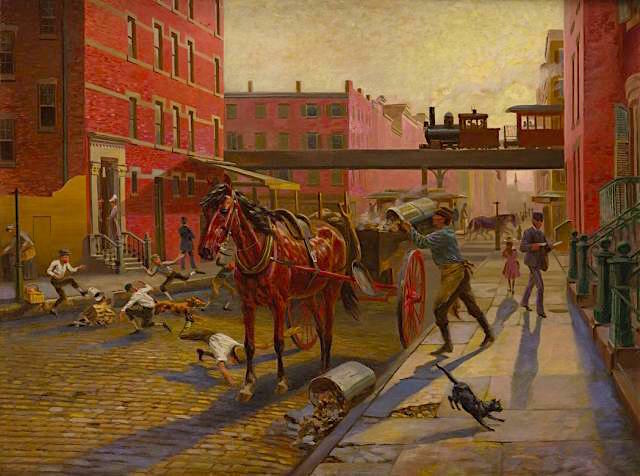 In “View of Forty-Third Street West of Ninth Avenue,” you can practically hear the roar of rowdy kids and the Ninth Avenue El screeching overhead. This was Longacre Square in 1883, the center of the city’s horse and carriage trade—an area that earned the nickname “Thieves Lair” for its sketchy reputation. 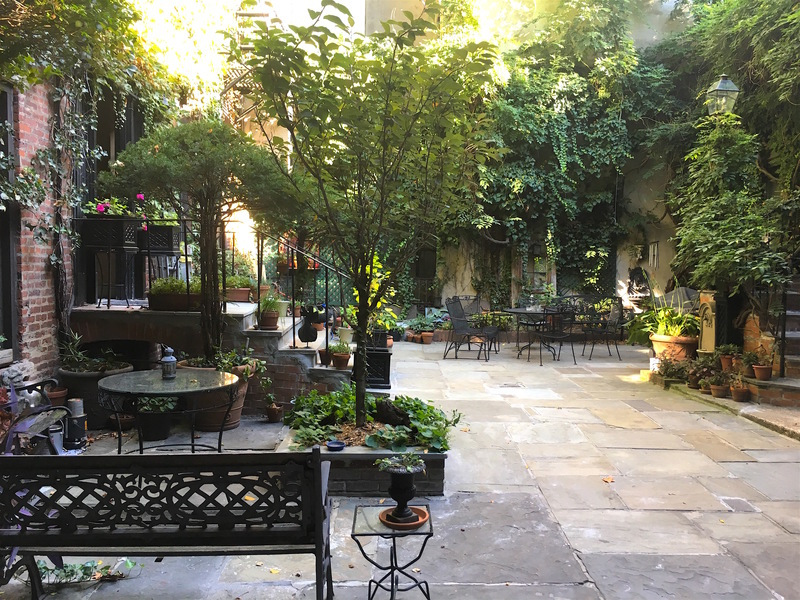 Is there anything quite as enchanting as coming across a quiet hidden courtyard in the middle of a dense Manhattan neighborhood? It’s especially magical when the courtyard is just a quick walk from the hustle and bustle of Times Square. That was my reaction when I took a walk through tiny Clinton Court in Hell’s Kitchen. 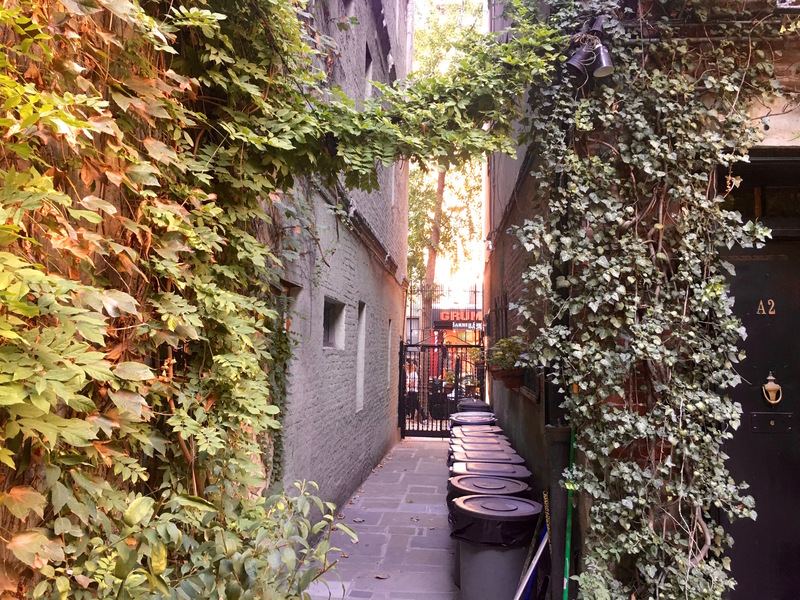 This secret space is about halfway down the busy tenement block between 9th and 10th Avenues. 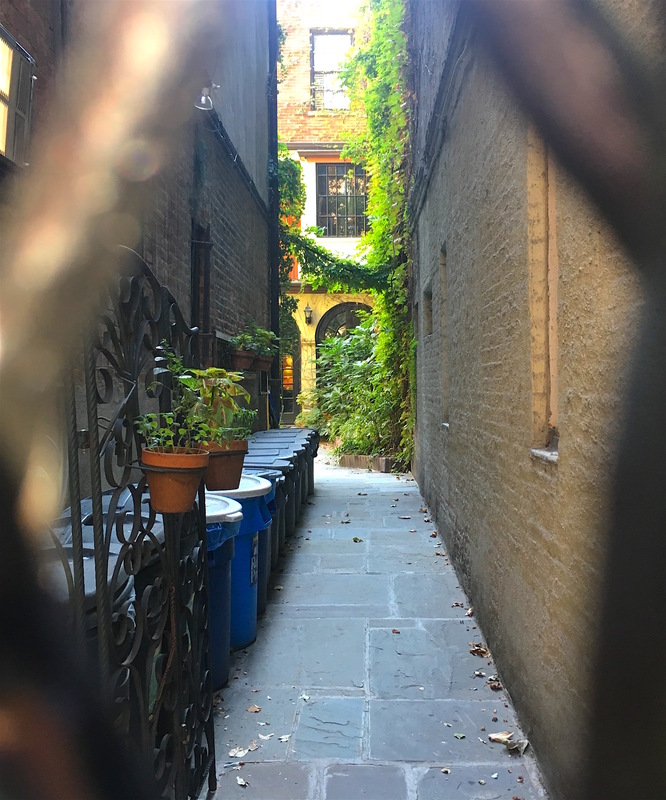 It’s accessible through a long slender walkway behind a heavy iron door, which you can find to the right of the residence at 422 West 46th Street. The door is locked, of course. But it’s worth the trip if you can catch a glimpse of the courtyard from the street through the door. And if you can convince a resident to let you in and see Clinton Court up close, you’ll want to grab your camera. Clinton Court is an oasis of tall trees and lush gardens. 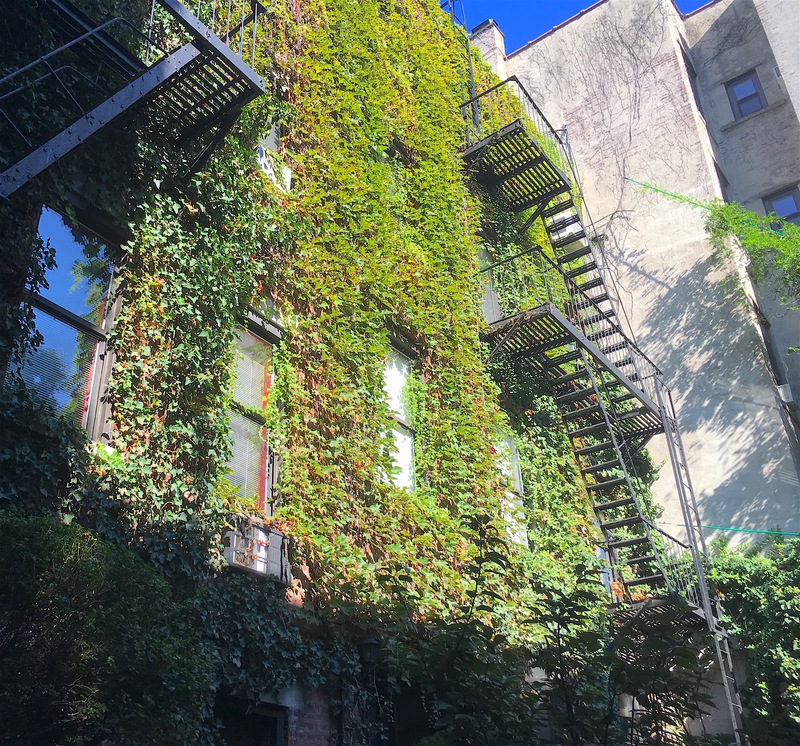 The courtyard is steps from the back entrances for 420 and 422 West 46th Street (with their ivy-covered walls). 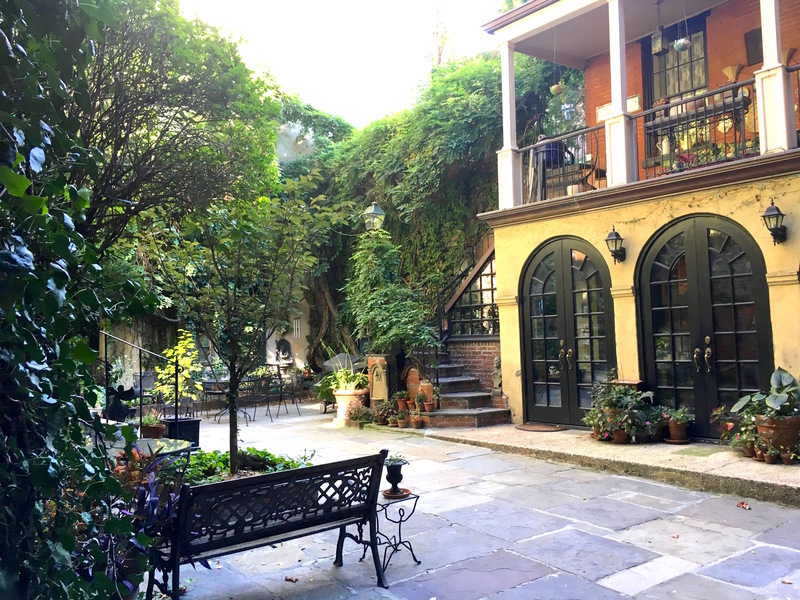 And right in the center is an entirely separate carriage house, with a facade right out of New Orleans or Paris, or a fairy tale. The carriage house has an unclear history. 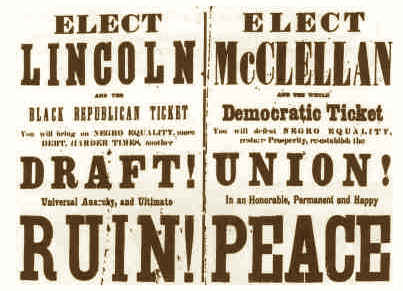 It was probably built in 1871 by the builder who put up the tenement at number 422. 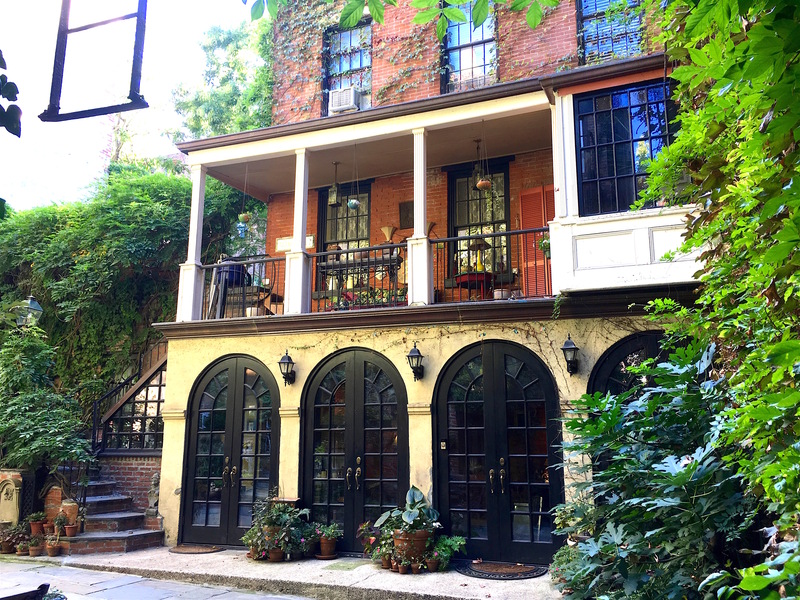 The carriage house “had horse stalls on the ground floor, but occupancy of the upper floors at this time is unclear—in the 1880’s a milkman, Jacob Michels, occupied the entire structure,” wrote Christopher Gray in a 1992 New York Times piece. 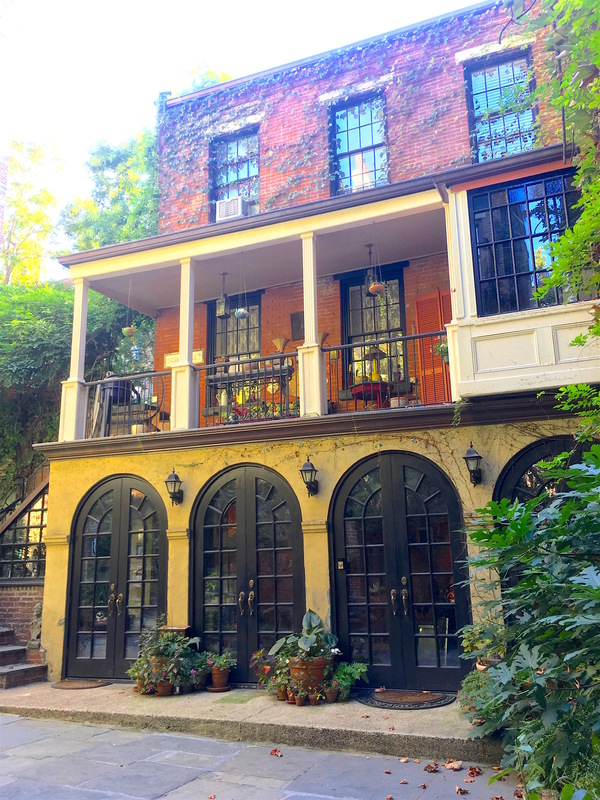 Yet some sources have it that the carriage house dates back to the 1820s and was owned by George Clinton, governor of New York at the turn of the 19th century and a descendant of DeWitt Clinton, who has a park named after him in the neighborhood. 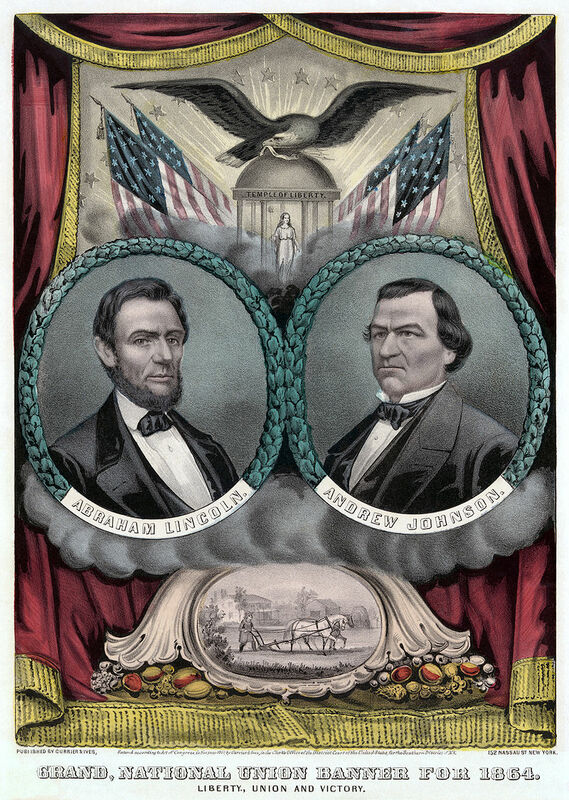 With Halloween coming up, it might be worth mentioning that a couple of sources claims the place is haunted either by Governor Clinton himself, one of his kids, or by an executed British Revolutionary War sailor named Old Moor, as the site of Clinton Court occupies an former potter’s field cemetery. 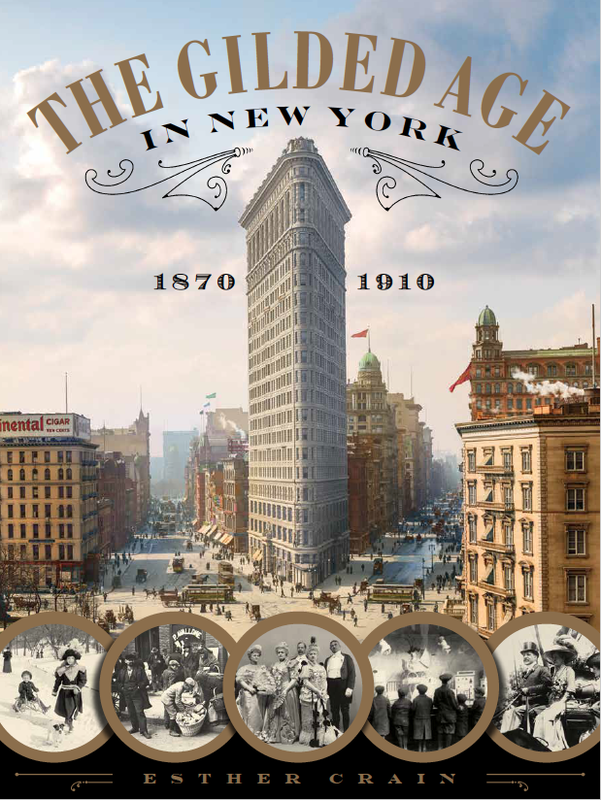 The carriage house’s history becomes clearer in the 20th century. “In 1919, Raffaello and Frank Menconi, prominent architectural sculptors, purchased both 420 and 422 and merged the lots,” wrote Gray. The Menconis are the designers behind the flagpole bases outside the New York Public Library, among other city sculpture icons. 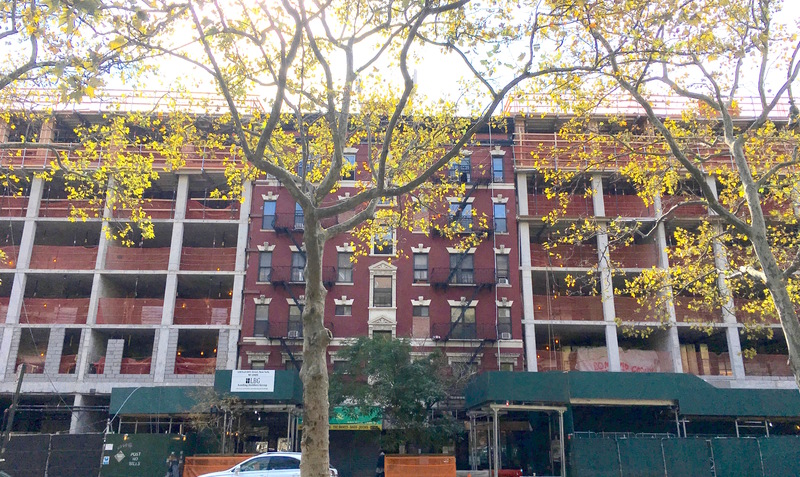 In 1958, the tenements at 420 and 422 West 46th Street, the carriage house, and the studio became one single apartment complex entity, says Gray—serene seclusion steeped in New York history and mere steps from Midtown. 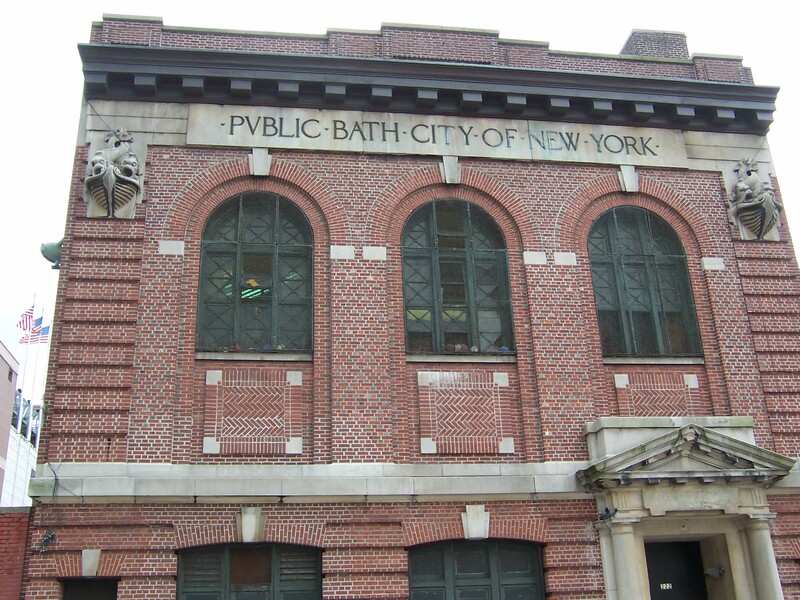 The public bath movement got its start in New York in 1849. 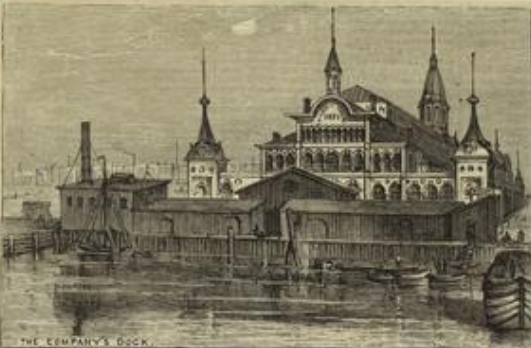 A wealthy merchant established the “People’s Bathing and Washing Association” and funded a public bath and laundry on Mott Street for anyone who paid a small fee, states the Landmark Preservation Commission. 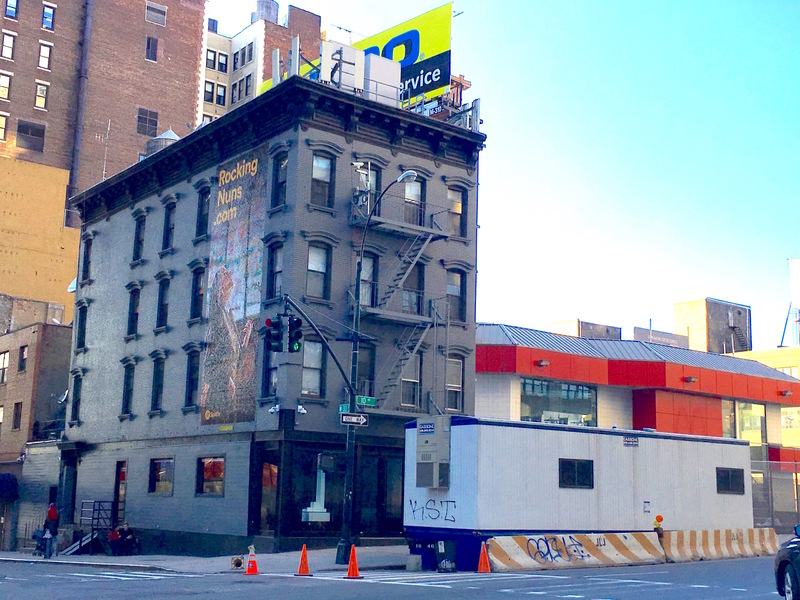 The Mott Street facility went out of business in a few years. 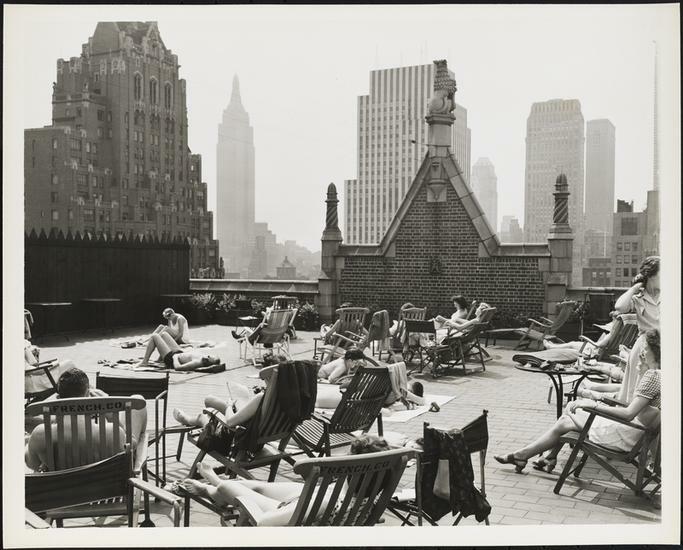 Yet the idea of establishing public bathing facilities gathered steam. 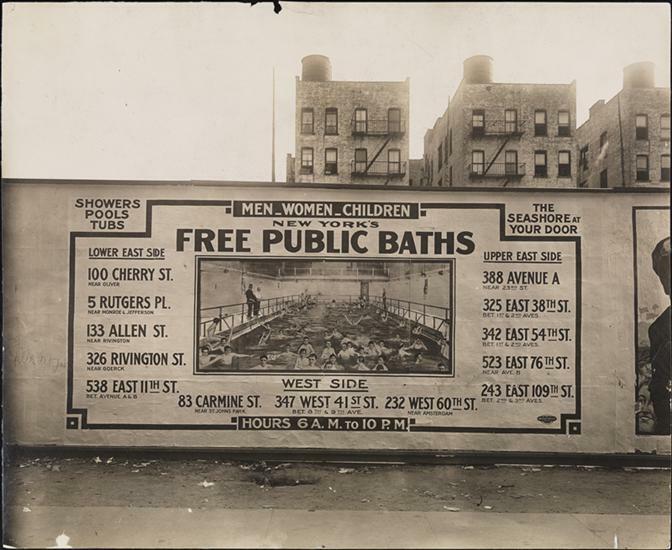 A campaign in 1889 convinced New York to build a network of free or low-cost bath houses that would offer visitors a “rain bath”—or a shower, as we call it today. Public baths with showers were long overdue. Only the rich had private indoor plumbing. 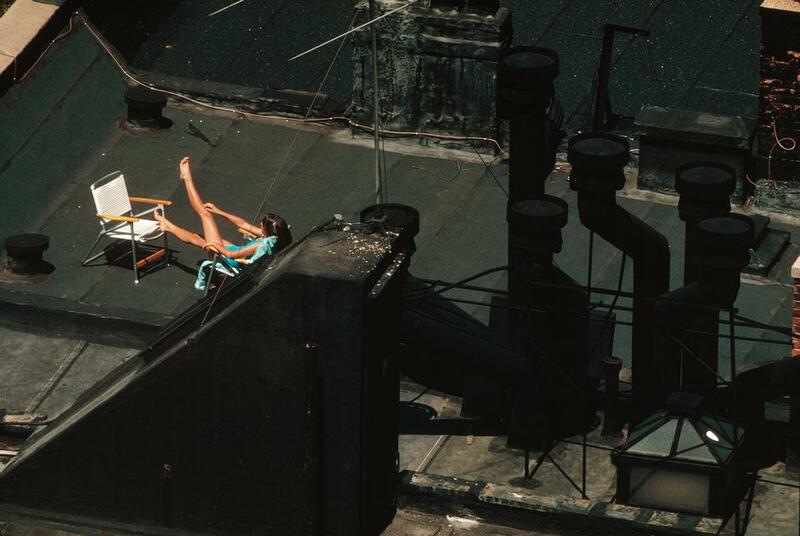 New York City’s thousands of tenement dwellers might have been lucky enough to rely on a spigot in the hall for water, but few had a place to bathe. Meanwhile, the idea of bathing for hygiene and to stop the spread of disease was gaining traction. So the city went on a bath-building frenzy. A public bath (with a five-cent fee) had already gone up on Centre Market Street in 1891. 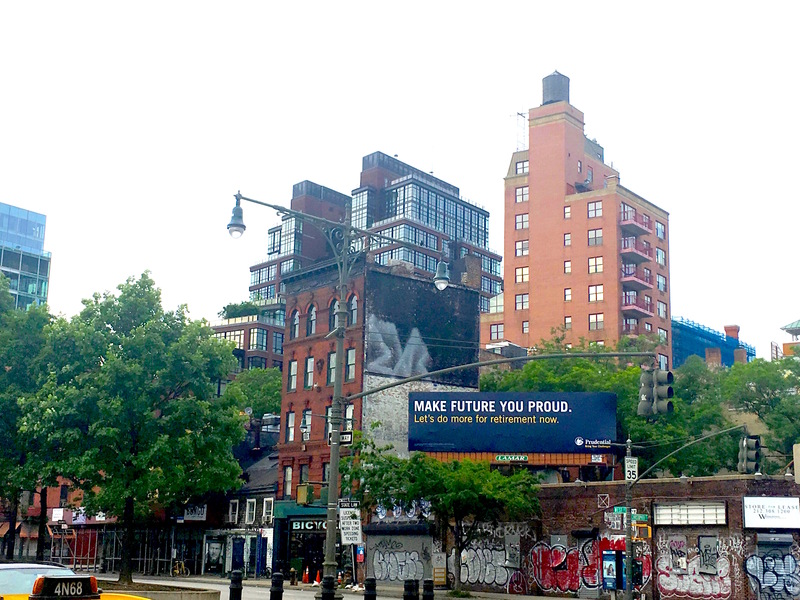 In the next two decades, more would be built in the tenement districts: East 11th Street (second photo), Rivington Street, Allen Street, Clarkson Street, East 23rd Street (third photo), East 38th Street, West 54th Street (fourth photo) and West 60th Street (fifth photo) among them. How popular were the baths? 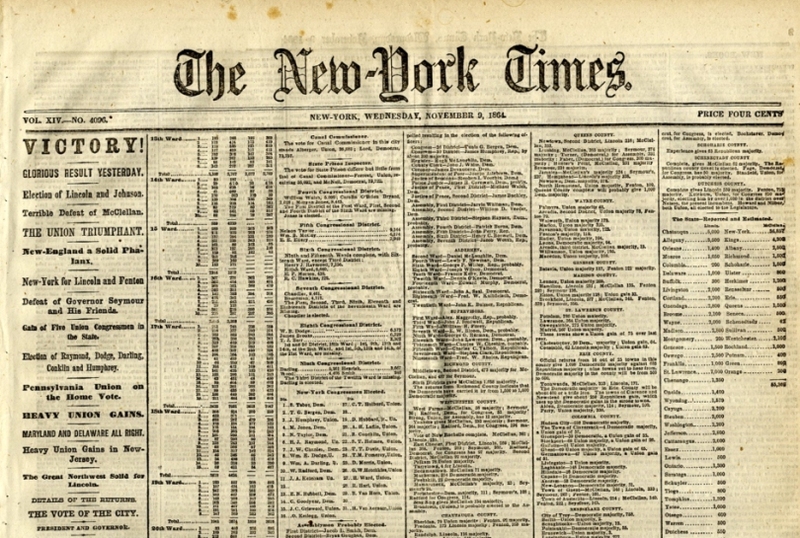 During the hot summer months, riots practically broke out, according to one account in the New York Times in 1906. But the rest of the year, they weren’t well used. As bathrooms with showers became standard features in apartments, the public baths’ popularity took another dive. 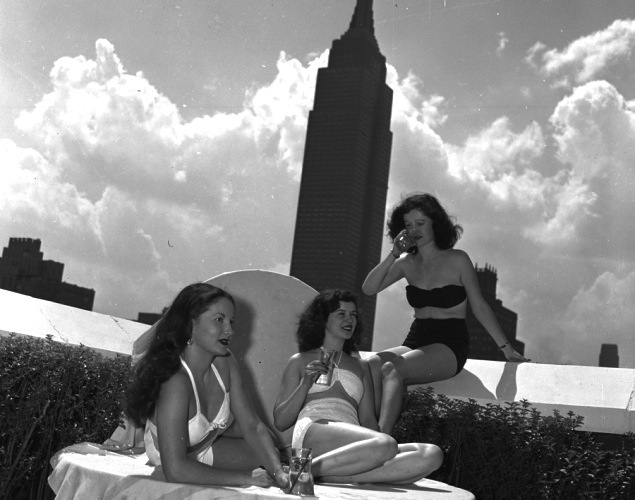 By the late 1950s, only three still operated, according to the Landmarks Preservation Commission. 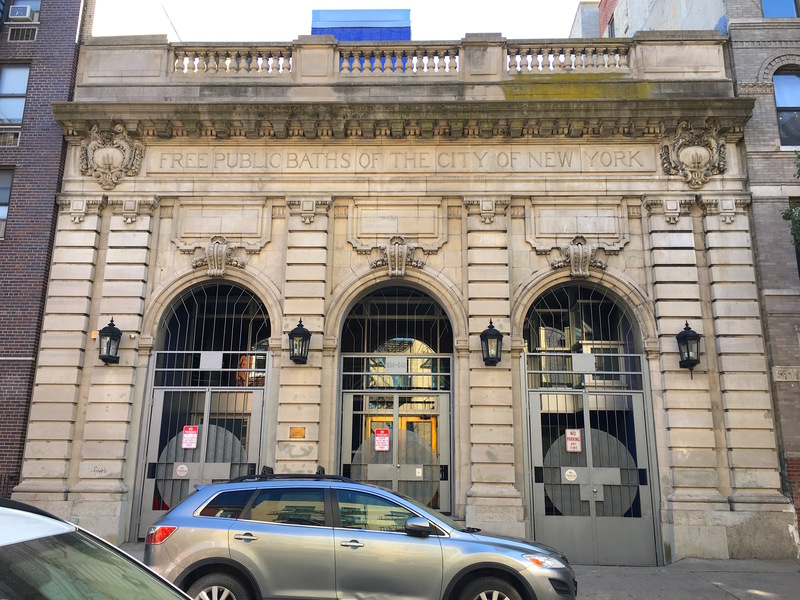 Though all the baths have long been shuttered, what’s amazing is how many of them still exist—and how lovely they are, despite their varied architectural styles. 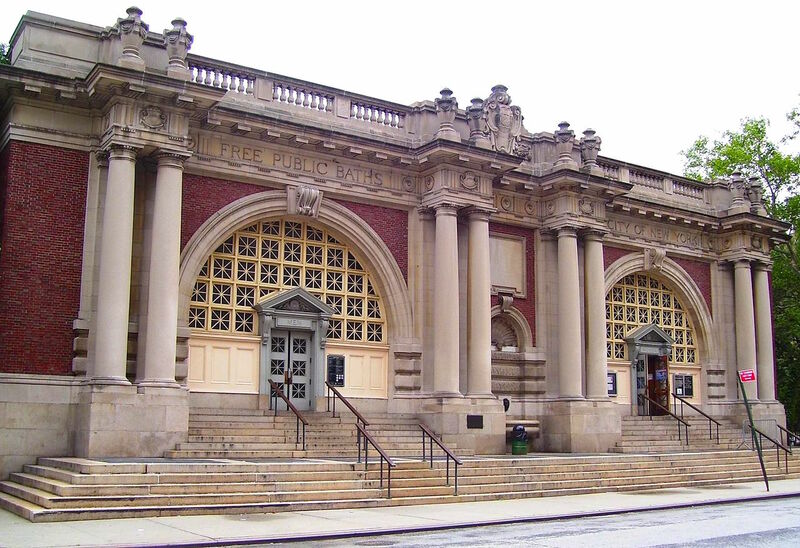 They were constructed during the “City Beautiful” movement, when public buildings were supposed to inspire. And the surviving bath houses, all long-ago converted for some other use, still do that, especially with touches like ornamental fish and tridents on the facade. No one quite knows where the term “doughboy” originated. Coined in the 19th century, it may have come from the doughnut-like buttons on soldier uniforms, or it might stem from their doughy rations. 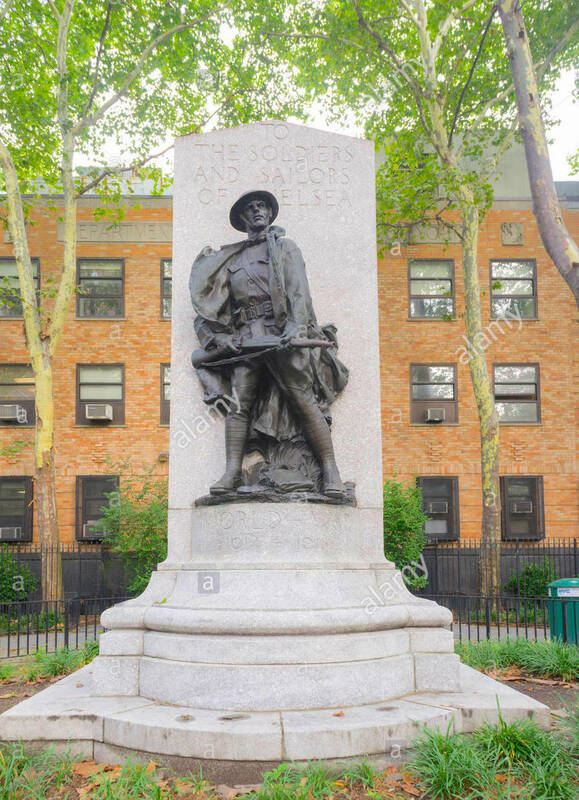 But this nickname for the millions of American infantrymen (and thousands of New Yorkers) who fought in World War I endures—as do the bronze doughboy statues that were funded by veterans’ groups and ordinary citizens after the war’s end in November 1918. With April 6 marking the 100th anniversary of the United States’ entry into what was then known as the European War, take a look at a few of the nine doughboy statues standing in city parks and corners. 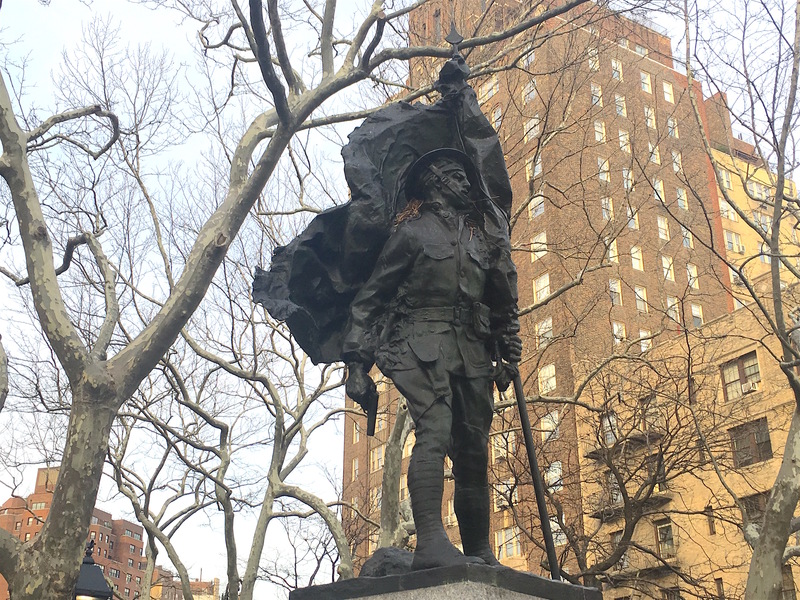 At the top right is the doughboy of DeWitt Clinton Park in Hell’s Kitchen—an excerpt from war poem “In Flanders Fields” carved in granite below him. 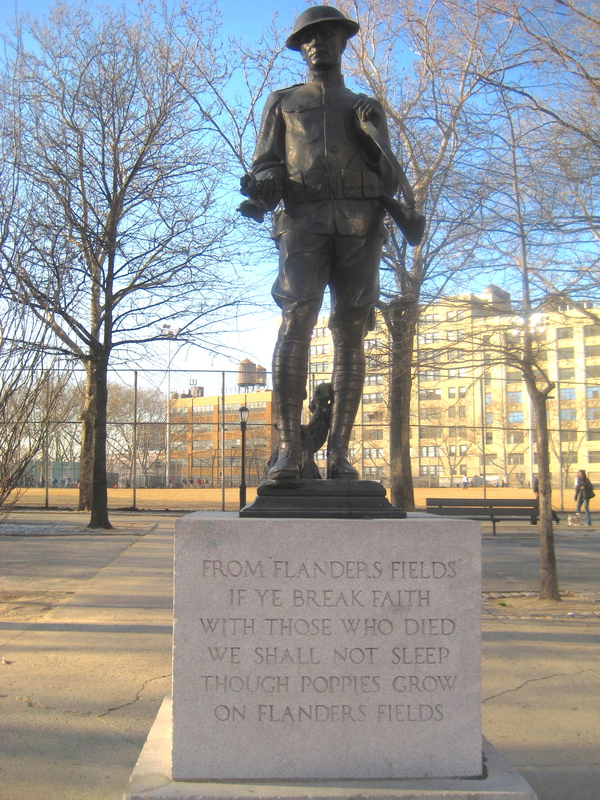 The Abingdon Square doughboy, pistol at the ready above, has graced this West Village pocket park since 1921. 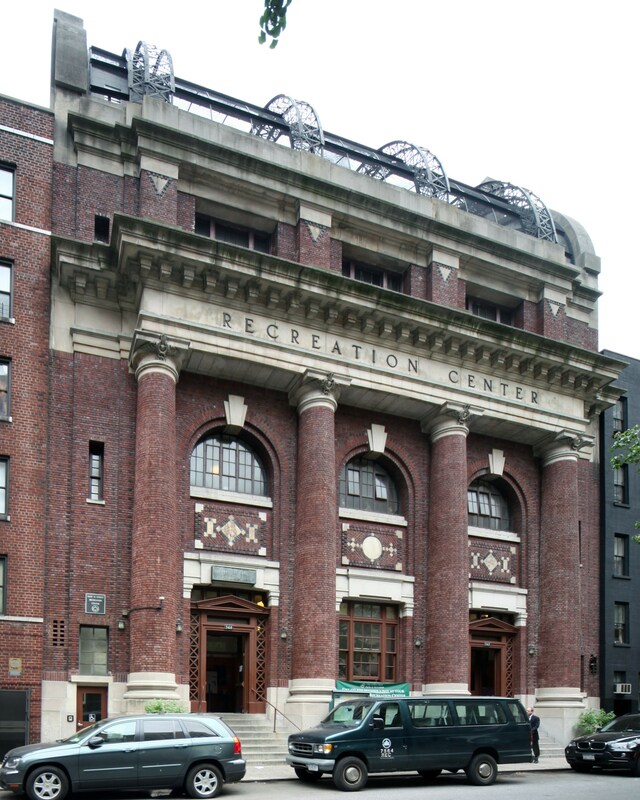 The money for the statue was raised by the Jefferson Democratic Club, whose headquarters across the street at 299 West 12th Street were replaced by a handsome apartment building. 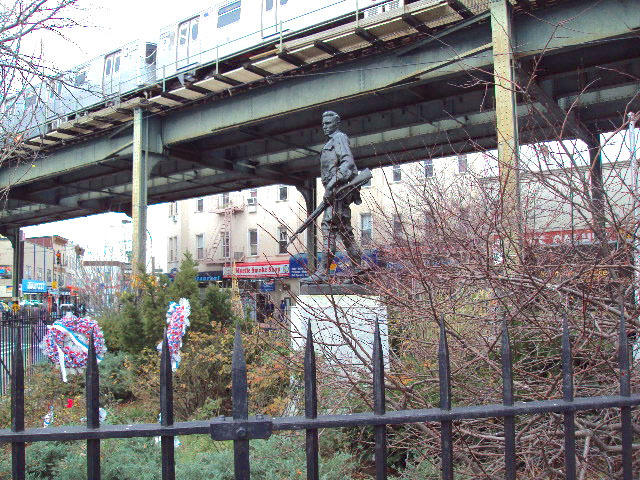 In Bushwick’s Heisser Triangle (above) stands a statue honoring the 156 men from the neighborhood who died in the war. Charles Heisser was a local kid who lived two blocks away and was killed in action in France in 1918. 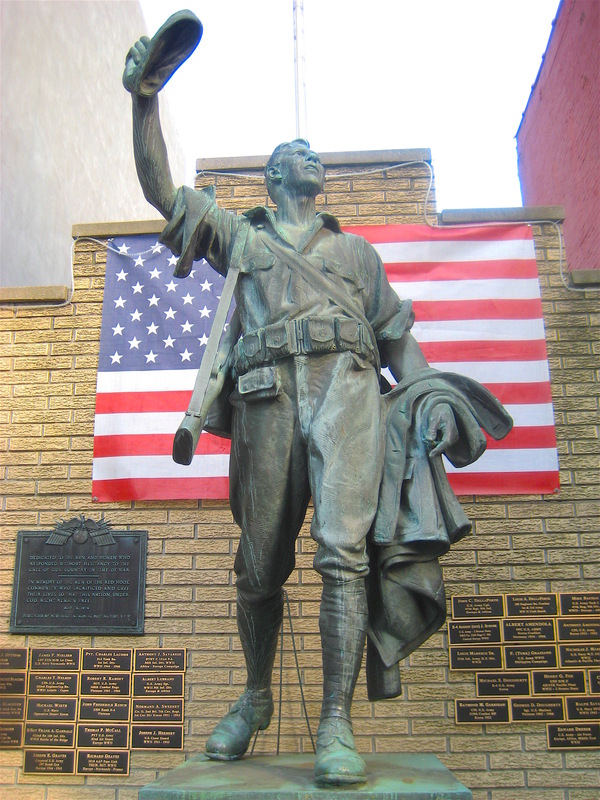 The Red Hook Memorial Doughboy (left) is proud and triumphant; he commemorates the approximately 100 residents of this corner of Brooklyn who gave their lives to the war. About 2,400 Brooklyn residents made the ultimate sacrifice, reports a 2001 New York Times piece on crumbling memorial statues. 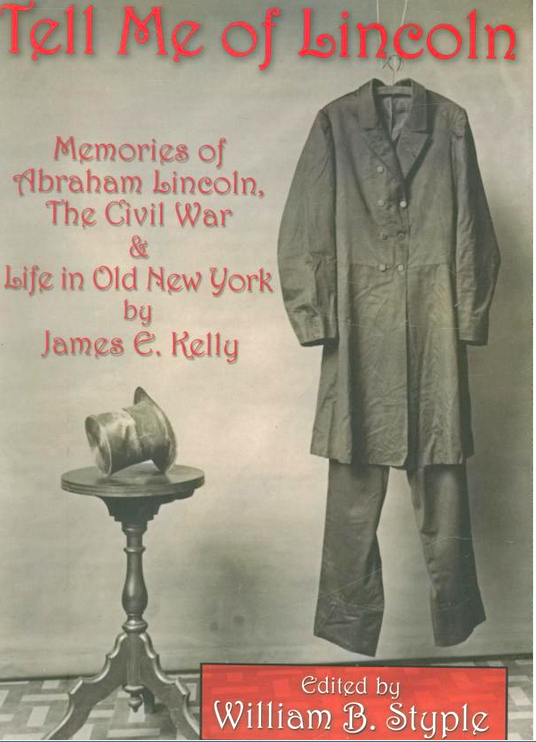 Chelsea has its own doughboy as well, and hey, it’s the same guy who modeled the Abingdon Square doughboy (below right). “To the Soldiers and Sailors of Chelsea” the granite behind him says at Chelsea Park on Ninth Avenue, as he holds his rifle protectively. Doughboy statues aren’t the only way city residents commemorated the end of the war, of course. In Central Park and Brooklyn, memorial trees were planted and plaques laid down—like these hiding in plain site on Eastern Parkway, which honor individual soldiers who never made it back from Europe. 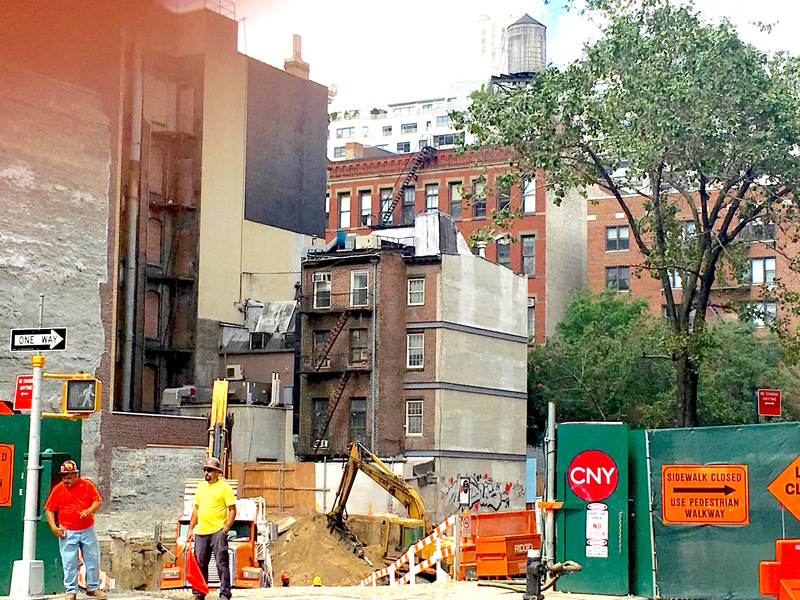 The history of New York City is written on its walls—the walls of apartment houses and commercial buildings still standing, bearing the faded outline of those that met the bulldozer long ago. The roofs of these faded ghosts are often slanted and peaked—hints that a Federal-style house or stable once existed there. 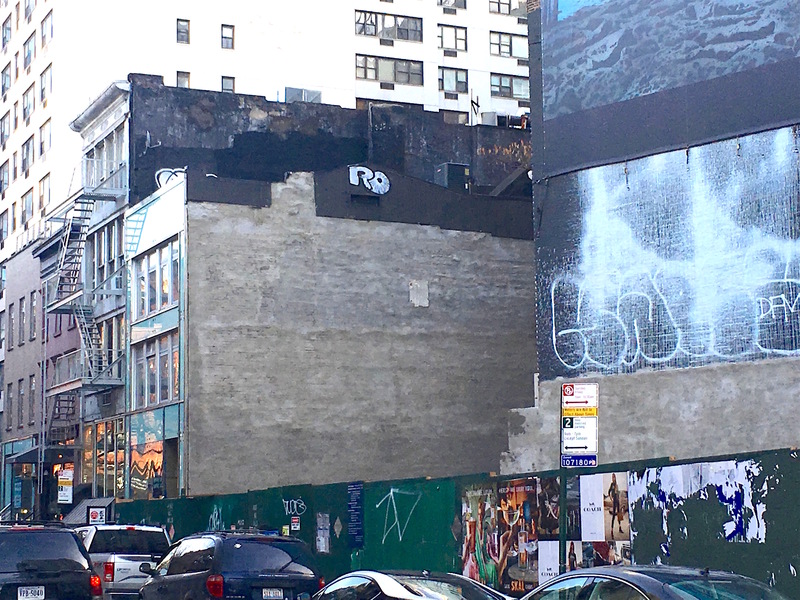 I’m guessing this outline on 11th Avenue in the west 20s, above, was a stable. Many of the outlines resemble the shells of tenements. 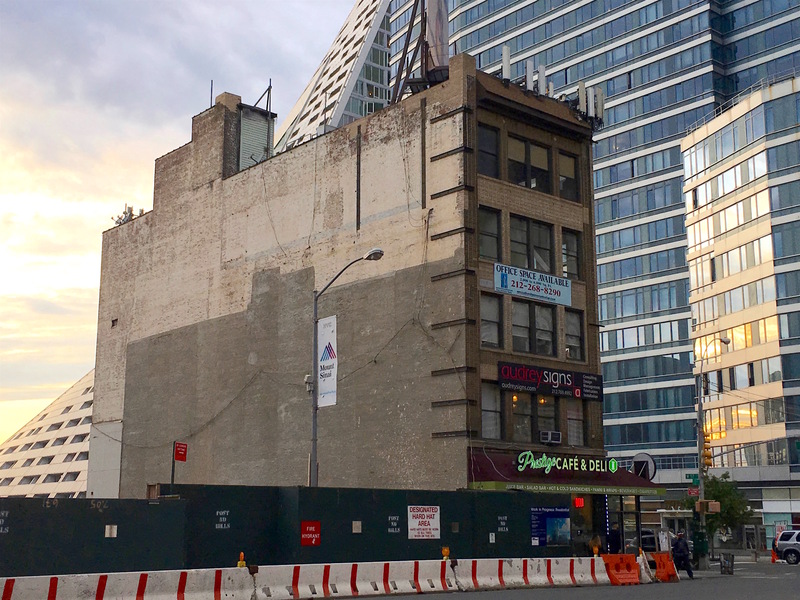 This phantom at Rector Street, above, is likely all that remains of an anonymous tenement where generations of New Yorkers lived and raised families. 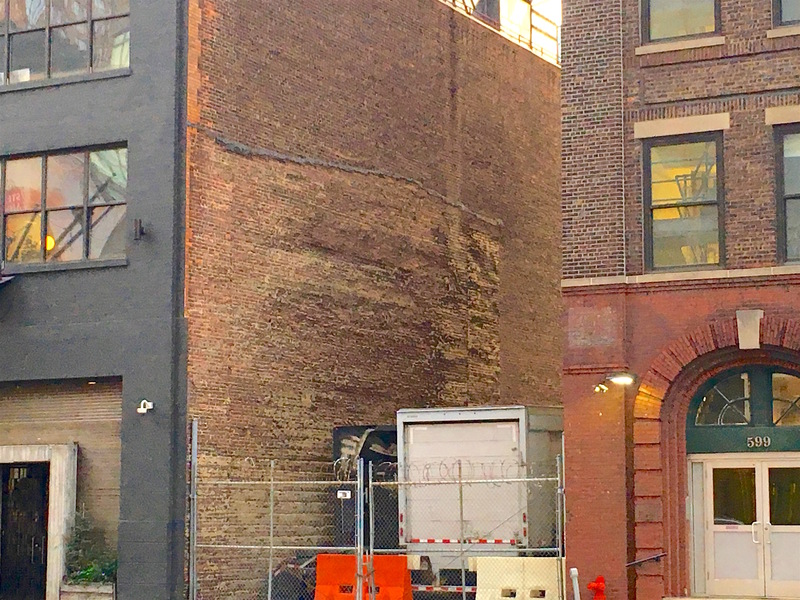 The ghost building on Great Jones Street near Lafayette Street above, with what appears to be the outline of three chimneys, looks too short to be a tenement. Probably just a walk-up with a couple of flats per floor. 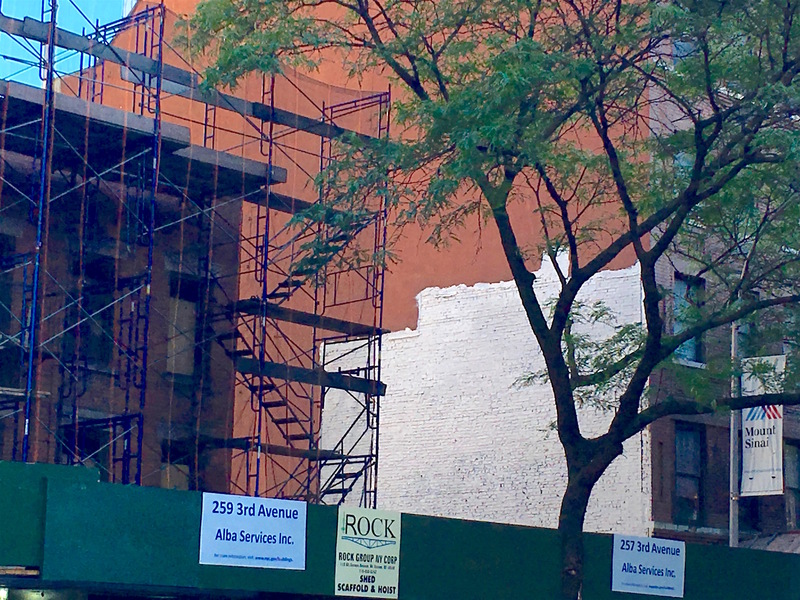 The painted-white outline here on Third Avenue in Gramercy could have been a single family home, similar to the one on the left side of the photo hidden behind scaffolding. 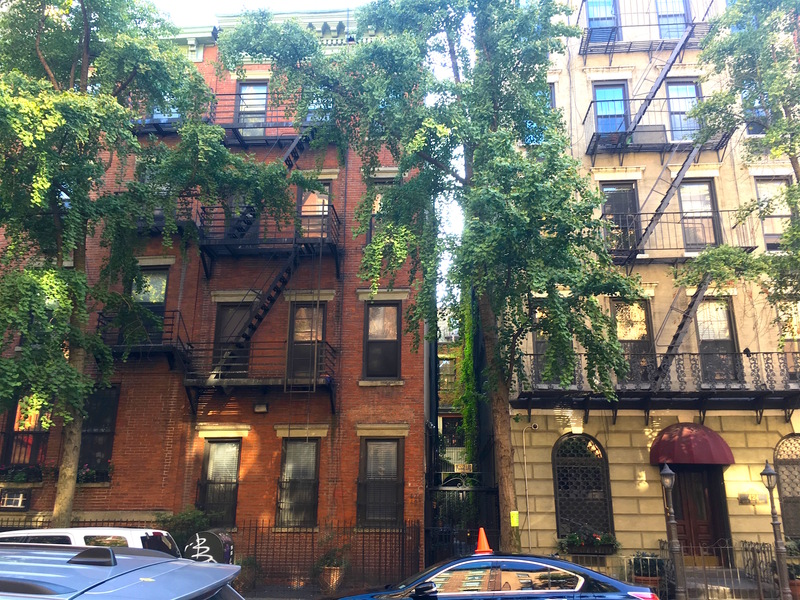 On West 57th Street a lonely tenement bears the remains of its neighbor, which had what looks like a central chimney or rooftop exit door. 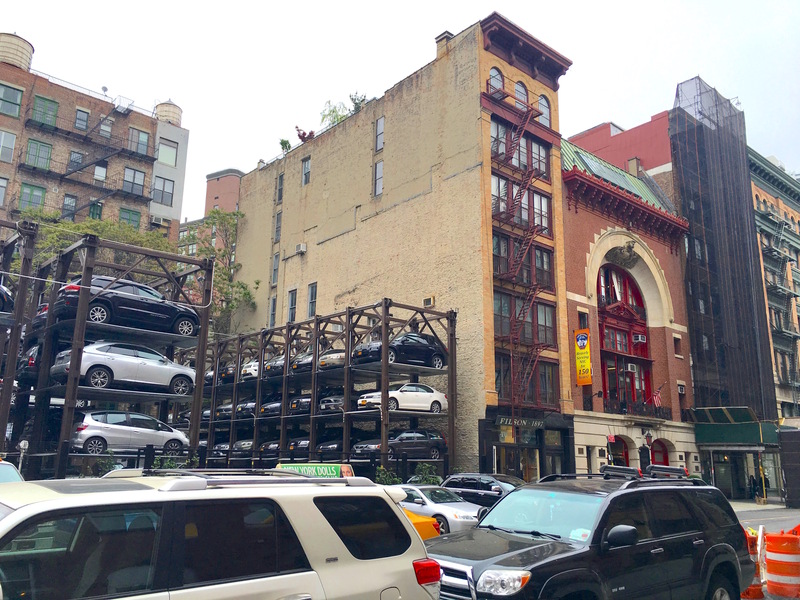 Is this the ghost of another stable or carriage house? 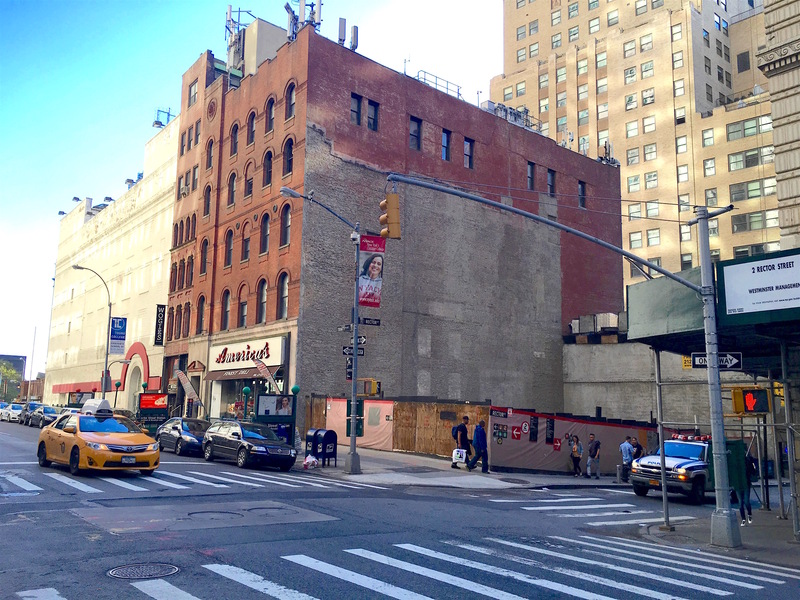 It’s on the far West Side around 42nd Street, where the city’s last remaining working stables are. West 39th Street close to the Hudson River is an unglamorous road of Port Authority bus ramps, plus traffic from the Javits Center and the ferry station across 12th Avenue. It’s not a pretty three or so blocks. 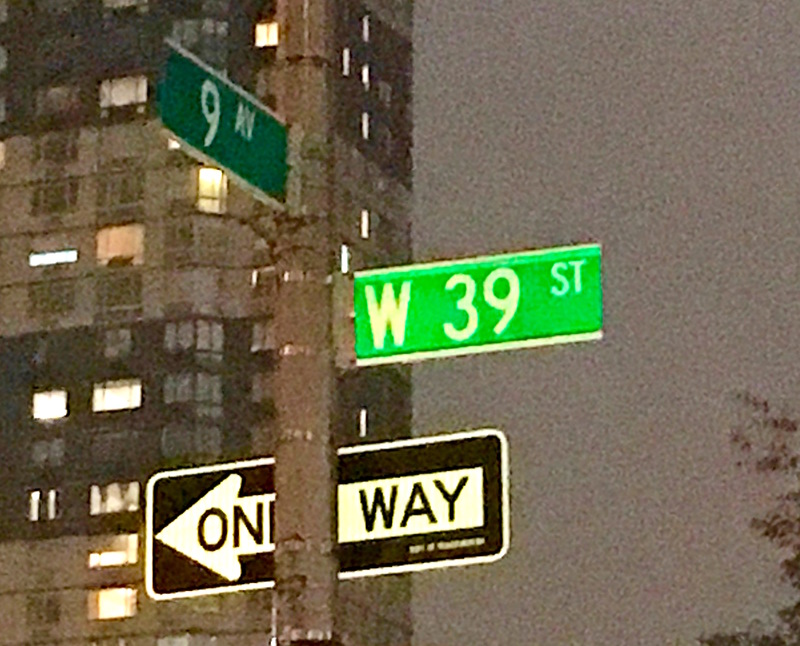 But this concrete stretch is nothing like it was in the 19th and early 20th centuries, when West 39th Street was one of New York’s bloodiest streets. 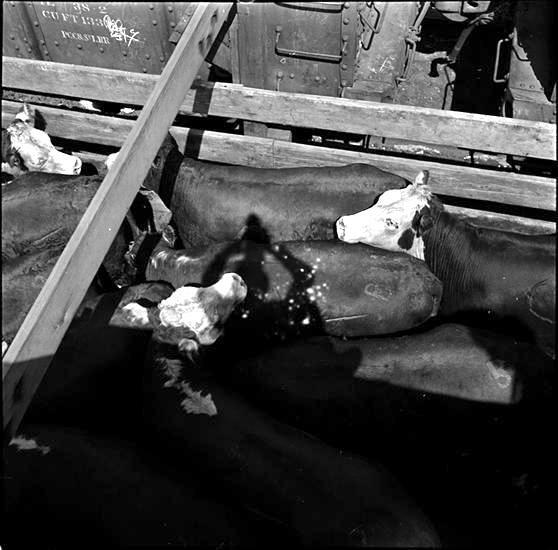 Nicknamed “Abattoir Row,” the street was the center of Manhattan’s slaughterhouse district (previously on Mulberry Street), where cattle delivered to the city via ferry or rail line were penned in stockyards before being led into factories, turned into beef, and destined for New York dinner tables. The earliest abattoirs appeared there in 1850, according to an Evening Post article, which counted 43 separate buildings. “A thorough system of ventilation by means of pipes is embraced in the design, and will do much towards preserving the health of those living in the vicinity,” wrote the Post. Cattle drives were a familiar site on the far West Side even after the turn of the century. 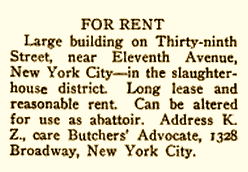 “Well into the 20th century, cattle drovers would close off 39th, 40th and 41st Streets between 11th and 12th Avenues and herd the cattle from pens to their destinations,” wrote Michael Pollack in his FYI column in the New York Times in 2013. “Cattle runs across 40th Street continued into the mid-1950s, to a division of Armour & Company a block from the pens. . . . In 1955, an aluminum-sided bridge was built 14 feet above the street so the cattle could walk their last quarter-mile without disrupting traffic. A cow bridge is one thing—a cow tunnel even more fascinating. 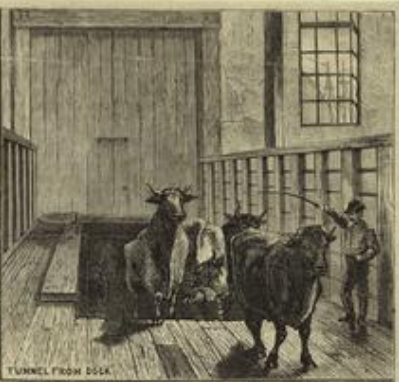 To dodge traffic, cattle coming into Manhattan via Hudson River barges in the late 19th century were herded through a tunnel under 12th Avenue to the abattoirs on West 39th Street. Abattoir Row disappeared in the 1960s. The cow bridge has long since been torn down. This well-researched article does a deep dive into where the cow tunnels might be and how long ago they were in use. West 39th Street in the old Tenderloin district also had a dicey reputation—of an entirely different kind. 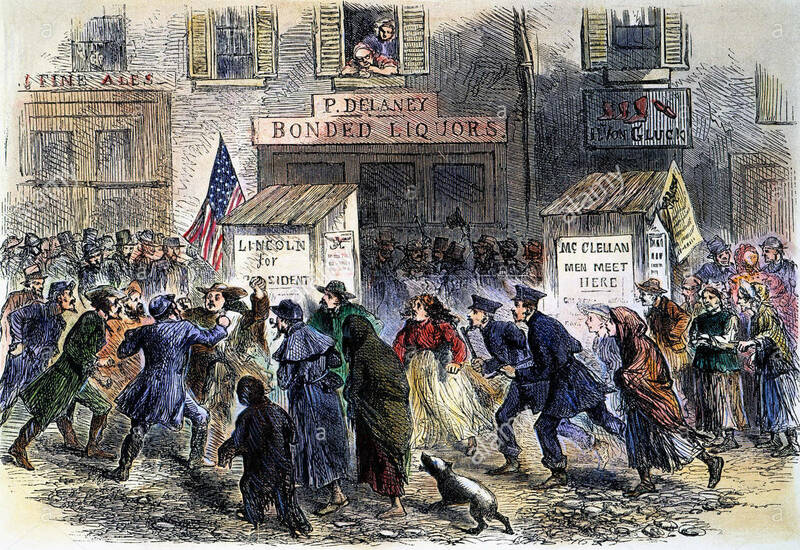 These “nurseries of pauperism and crime,” as reformer Jacob Riis deemed them in 1890, housed three-quarters of New York’s population in the late 1800s. 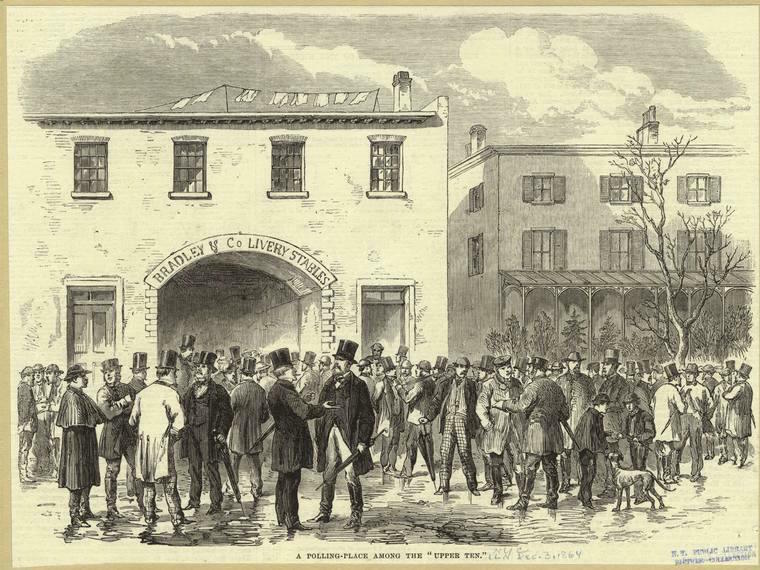 Tenements (like the one above at University Place and 13th Street) then were “packed like herrings with human beings,” wrote the city board of health in an 1873 report. There’s something haunting about a tenement standing alone. Painter George Bellows realized this. 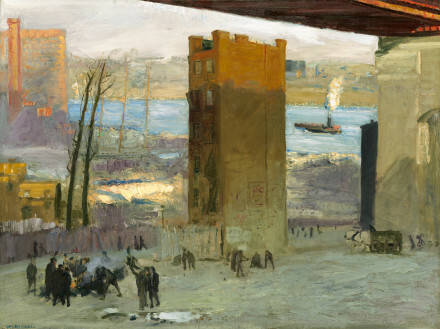 His 1909 “Lone Tenement” (at left) shows a deserted brick walkup in the shadows under the then-new Queensboro Bridge, a representation of the displaced, cast-off men warming themselves by a fire nearby. 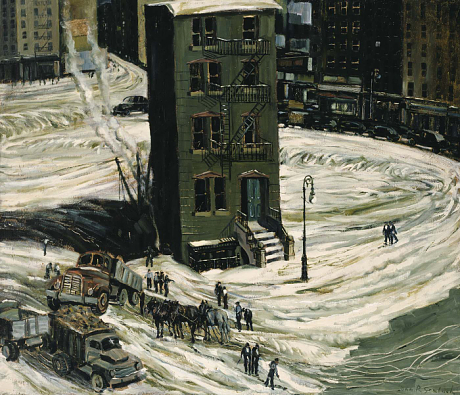 Another social realist painter of the early 20th century, John R. Grabach, was also touched by the lone tenement. 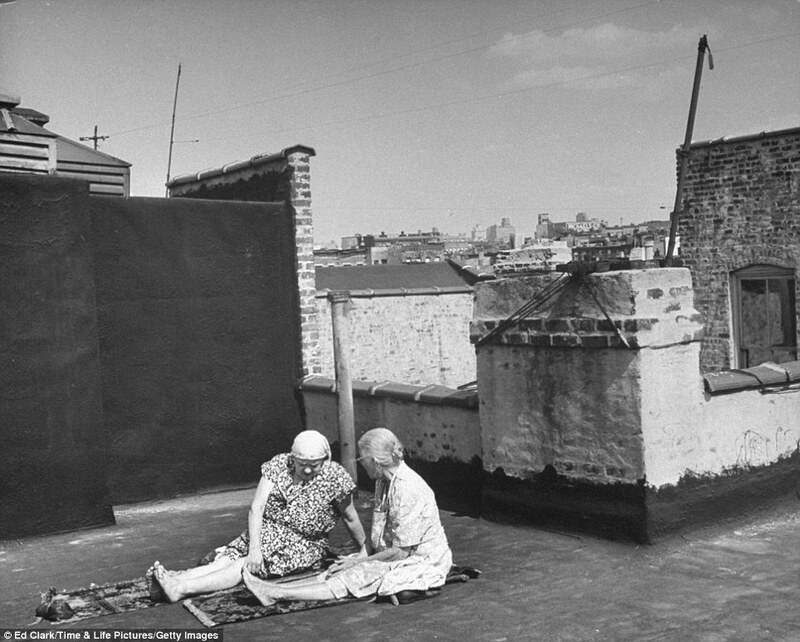 His 1929 work, “The Lone House,” is a portrait of abandonment—of a tenement and people. 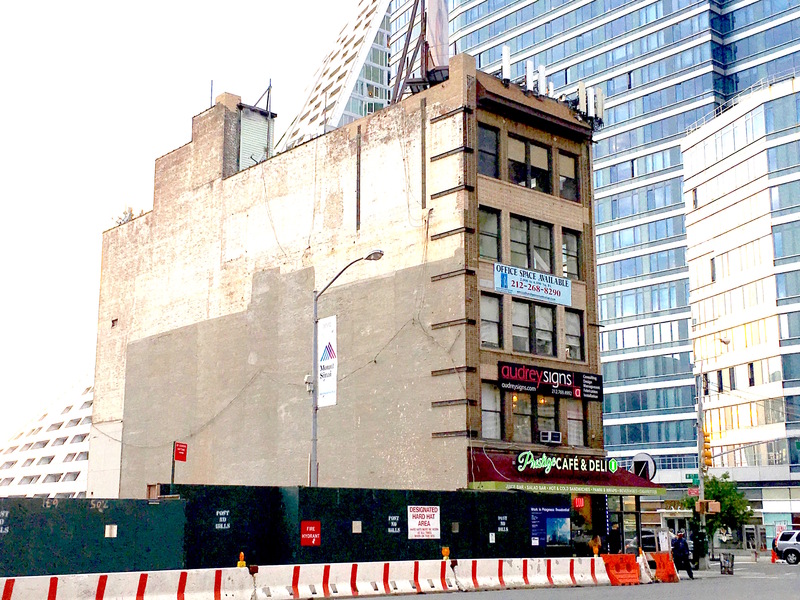 Some of today’s lone tenements might be next in line for the wrecking ball. Others stay up perhaps because their owners refuse to sell to developers. 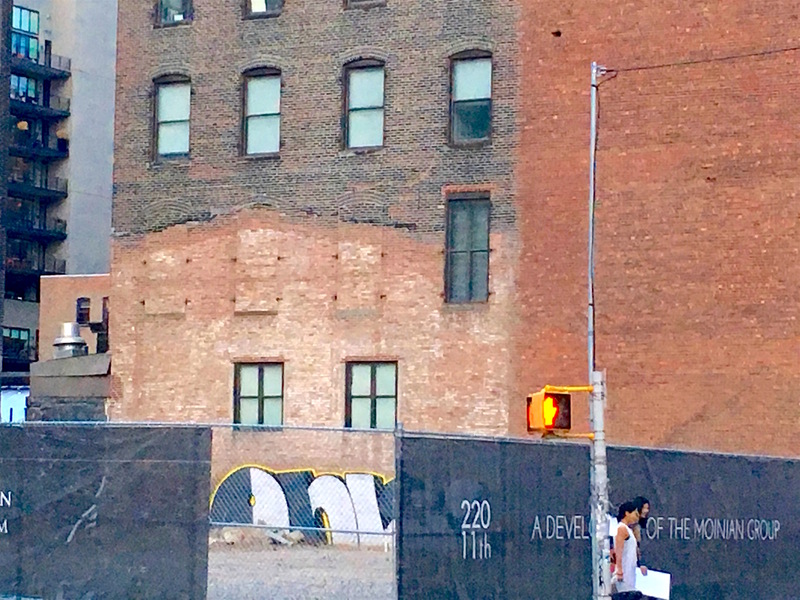 And others await development to creep in and surround them—like this tenement on East 14th Street, which stood unmoored and alone for a few years and is now encased on either side by the concrete shell of a future apartment building. 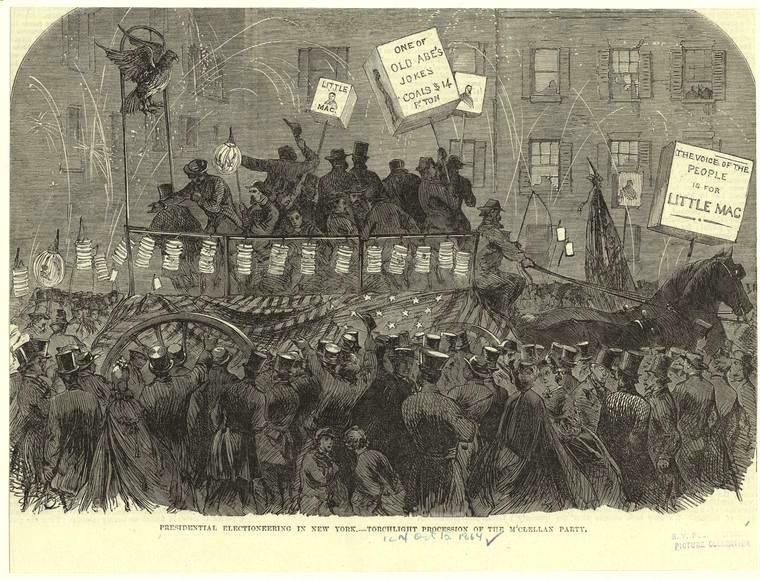 Check out The Gilded Age in New York, 1870-1910, for more on the history of the New York tenement.